9/8/05- BRAND NEW PROMO SHOT FOR THE CROW: PURGATORY! 3/10/06: EXCITING NEWS! 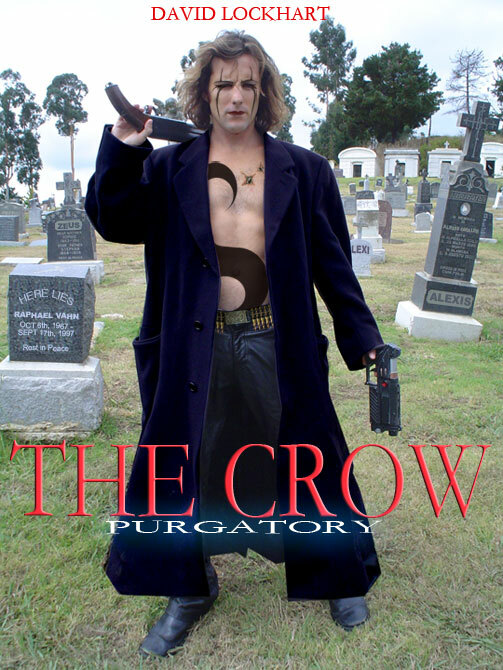 The 2nd draft script of THE CROW: PURGATORY II has been completed. The sequel will contain ALOT OF ACTION! A new desciple named, PRIEST, will be introduced as Raphael continues his hunt for Alexis. Lastly, this installment will establish the spinoff by diving into the war between Angels and Demons. 4/28/06: Update: Due to the ugly weather, production has been pushed until the rain stops; for equipment sake. We will be shooting things out of sequence as well as training for the short film in the meantime. Stay tuned folks! 6/28/06: Update: After an extensive location hunt, we have found our warehouse to film the last battle scene (Yippie!) . 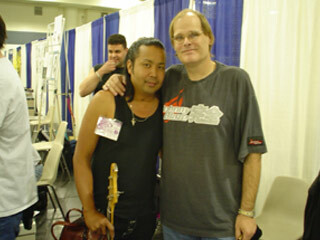 There have been a few script changes including an appearance by Neil Gaimen's character, DEATH, from the Sandman series during a dream sequence. 7/15/06: Update: We have completed 3 major optical FX tests which will be utilized in the sequel. They're subtle, but effective. The working production for Purgatory 2 will be under the name, BAND DESSINÉE. On a humorous note: I spent the last 2 months chasing neighborhood crows with a camera like a sub-amateur wildlife photographer. It's hard running in the middle of traffic pointing a DV Camera into the sky. 7/31/06: Update: Maggie Galvin will not be reprising her role as Alexis. This will allow us to explore the art of body jumping. An audition has been posted on Craigslist for open readings in Berkeley, CA in mid Aufust. Lastly, , a new teaser poster has been uploaded HERE! 8/25/06: Update: Saturday - August 26th, we will be holding auditions for Alexis, Death, and bodyguards in Berkeley, CA. Will let you know how it turns out and Key roles will be announced soon, Check it out here. Also, we have confirmed production dates of 9/19-9/21 at a really nice warehouse in the Mission District of San Francisco. This is where the main fight sequences between Priest and Raphael will take place. THE NEW LINK FOR THE CROW: PURGATORY II IS UP AND RUNNING. If you would like to obtain a DVD copy for an upcoming festival, convention, or Crow gathering, Contact DESCIPLE . However, due to a shortage demand and costs, we are focusing the distribution of this limited DVD to promoters of festivals and special events only at this time. Premise: Angels of the Afterlife return to Earth to hunt down a Soul Stealing demon only to be tempted by their former human lives. 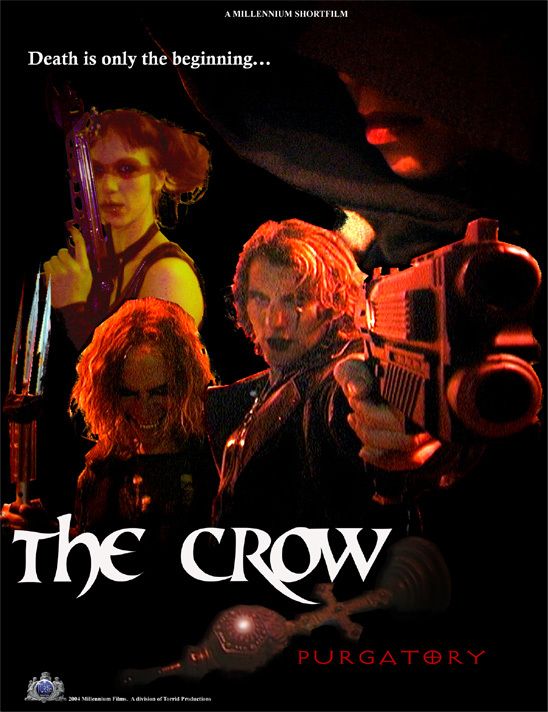 Originally created for a special event called, SFCROW2K4, this fanfilm explores new sides of the Crow myth and introduces brand new characters. The film premiered to a well accepting audience along with Crow Creator, JAMES O'BARR, as the honorary guest. 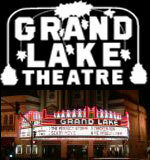 THE CROW: PURGATORY was shown on the BIG SCREEN at the 2005 Oakland International Film Festival which took place at the landmark Grand Lake Theater. We are also proud to announce we have officially past the 10,000 visitors mark!